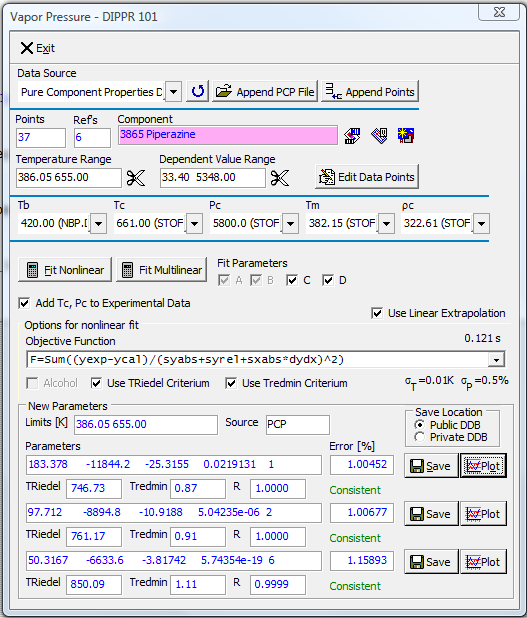 The regression add-on for pure component properties allows for extended parameter fitting, calculation and graphical representation options for various correlation equations for the different pure component properties that allow customization of simulation software for a better description of your specific mixtures. 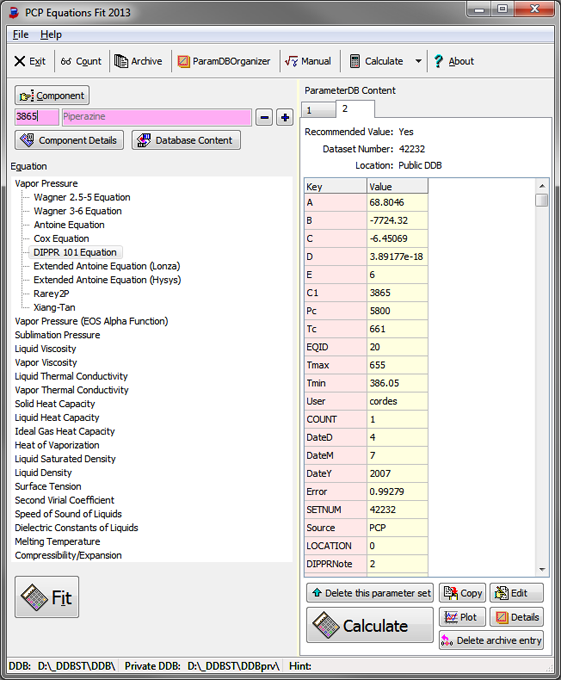 When moving the mouse curser over the diagram, a connecting line is drawn to the nearest data point and the reference and exact numerical values are shown. Chosing the context menu (right mouse button) allows to exclude this data point or all data points from the resp. reference from the next regression. 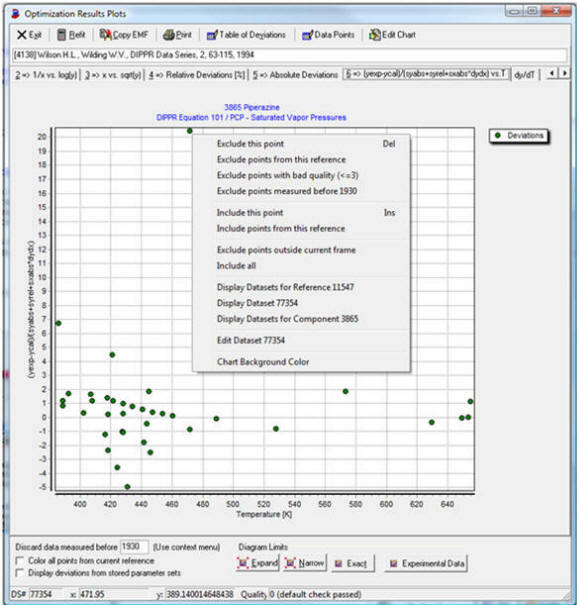 Excluded data points are shown in a different color for convenience. 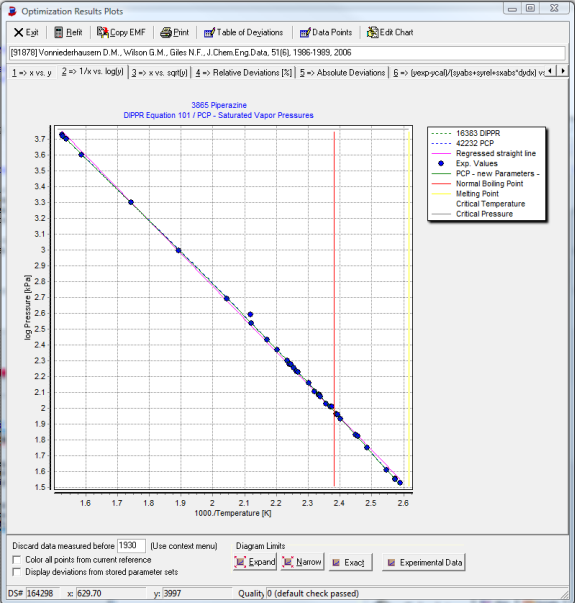 Regression results can be exported or stored in the ParamDB data bank. I addition, information about time of the fit and all included and excluded data can be stored in an archive, so that these selections can be reviewed at any later time. 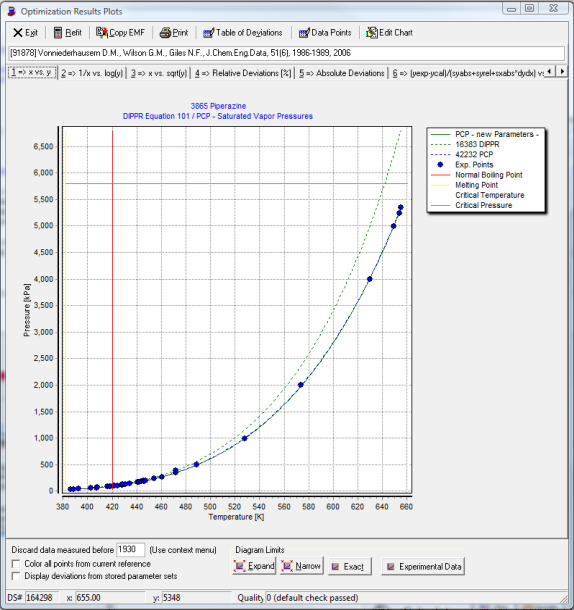 DDBSP Pure Property Regression is specifically targeted at rapid and interactive regression of reliable parameters for different pure component properties.